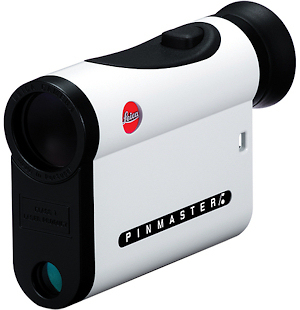 Leica Pinmaster II golf rangefinder puts accurate distance measurements from tee to green at your fingertips using first-target logic for precise determination of distances to small objects . Maximum range is 820 yards (750 meters). 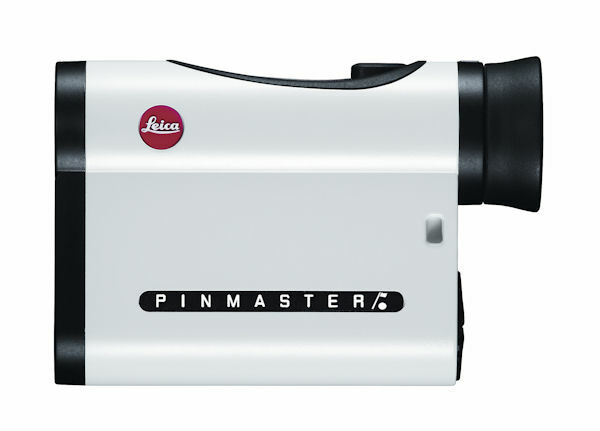 The Pinmaster II is waterproof to a depth of 1 meter, and the lenses are coated with Leica's AquaDura® coating so dirt and water roll right off. The improved LED display enables users to read off distances even in unfavorable light conditions, for instance in bright sunshine, mist or dusk. A real ‘hole-in-one' is its yard/meter switch that lets you toggle between the different measurements. So now, the choice of the most suitable club, from wedge to driver and optimum swing can be made without any need for guesswork - anywhere in the world.